Christian Hellinger was the founder and CEO of yellow tools (the guys who created the Independence Sampler Workstation, founded in 1999). In 2011 MAGIX took over yellow tools. Since then Christian is the Vice President Audio of MAGIX, being responsible for the company strategy regarding audio products. MAGIX headquarters are in Berlin with a development centre in Dresden and a logistics and accounting branch in Lübbecke, North Rhine Westphalia. Internationally they have branches in the USA, Canada, Taiwan, the UK, France, Italy, Spain and the Netherlands. Their product range includes Samplitude Pro X, a DAW for uncompromised audio productions – from arranging and recording, to editing and mixing, all the way to professional mastering and CD/DVD authoring. The team at MAGIX took some time out to give their views on the current and future developments in DAW software. When you’re setting out to create a new DAW software suite, what do you consider are the really important issues to get right? Usability, optimized workflow with fastest possible results the user wants to achieve, audio quality, stability and ease of use. There’s been a significant integration between DAWs whose primary job was to record and mix music, and using DAWs as music creation tools in their own right. 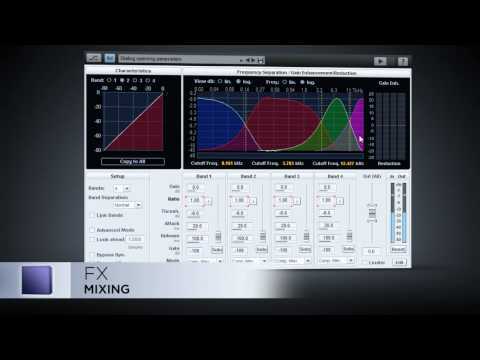 Do you think this heavy integration makes the actual DAW user interface over complex? That’s a huge risk, of course. Nevertheless exactly this is one of the major tasks when taking a look at current/upcoming DAWs: Making it possible to do even the most complex tasks while still being able to offer an intuitive and fast workflow. Nevertheless also the user has to understand that the more features and options he’d like to have, also complexity of a software will rise accordingly. Beside that developers have to focus on what is required from musical perspective more than the technological possible. DAWs seem to be sold on ‘features’ and less and less audio quality. How do you ensure that audio quality within your DAW design is maintained to a high standard? This task is pretty simple: as soon as you lose audio quality, you will lose customers. There is no feature that may be such important it justifies the loss of audio quality. It all begins at that early stage – bad audio quality cannot be fixed anyway, so if this quality does not meet demands or industry standards, any following editing suffers accordingly. Many DAW systems include specialist tools for mastering, so encouraging artists and mixing engineers to do their own mastering. Yet all of the professional mastering engineers we’ve spoken to say it should be left alone as a separate task and done by specialists who have the skills and the hi-end acoustic environment to do quality mastering. What’s your views on this? Yes and no. DAWs that also include (first grade) mastering tools are very interesting for those who want/have to do everything for a music production on their own. On the other hand mastering of course is a totally separated task beside music production and recording. These days a really separated software solution into these fields has problems to survive – that’s why there are DAWs that offer both parts but put their focus more into the direction of recording/editing or mixing/mastering. And taking this a step further, do you see a market for using the DAW to actually publish material directly to the iTunes format, assuming Apple were to make is more accessible? Yes – there are already DAWs out there that offer such direct connections to online distribution platforms.The learning curve for someone coming into DAW seems to be getting ever steeper. Do you think it’s a good idea for companies to have a much simpler entry system for beginners? Generally yes – but you have to take a close look at the details: are we talking about real newcomers that get in touch with the field of music production for the first time, you of course need a very simple software to get started – low barriers and fast results. Nevertheless even beginners are looking for software that still offers a lot space for exploration, progress and also challenges. This, for example, can get solved with different skins/modes that enable the user to switch between different workspaces that contain different features on the user interface. 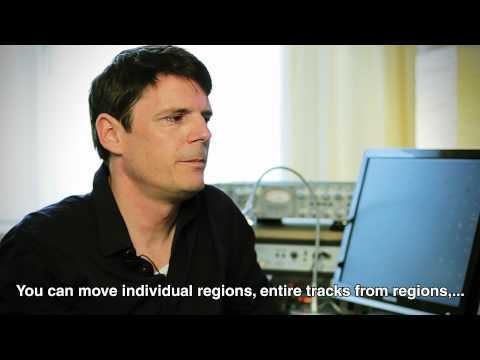 What are your thoughts about further developments in hardware controllers for DAW software? Many of these seem quite basic and undeveloped. Is the future destined to be mouse mixing for ever? Not generally, but depending on user cases. For those who can afford hardware controllers and mainly work in a recording studio – it still makes a lot of sense. If you need mobile recording solutions or you prefer “all inclusive” software solutions, mouse mixing may all you need. And linked to the question above : with the prolific sales of iPADs, do you see a huge expansion of DAW software for this platform, either as stand-a-lone or as remote control devices for main DAW systems? IMO regarding the iPAD we are more talking about remote control solutions for main DAW systems – the power of iPADs is simply not enough for the demand of complex productions (at the moment). Maybe with more powerful tablets this will change. What do you see as the future developments for DAWs to support more recording projects done at multiple locations around the world? Cloud based project storage and in some way SaaS solutions. Nevertheless there is such a huge data transfer while recording that some parts have to be done locally on a computer as long as the network speed may not allow real Audio/MIDI over IP. It’s not easy transferring projects between different DAW systems and the implementation of OMF hasn’t kept pace with the vast amounts of automation and plug-in data stored within modern DAWs. What are your views about this topic? As long as DAWs mainly use their own file formats and (exclusive) plug-ins this problem will persist – and a 100% working cross-plattform/cross-DAW compatibility of entire projects is far, far away. Do you see the future of music recording and mixing as being a 100% ‘in the box’ and if so will you lament the passing of analogue hardware? No, analogue hardware still is very worthwhile part for music production that cannot be entirely replaced by software.And whatever happened to getting a great bunch of musicians in a room and just laying down a great track? Do you think that DAWs get in the way of this most important creative process? Definitely not – more the opposite: if a DAW is that easy to use that it allows creative musicians exactly this scenario (easy setup, immediate recording etc.) so they do not have to care about technical issues but can focus on their music… than DAWs are great supporters also for these users. And looking into the future, what do you see as the major areas of innovation within the DAW? The simplification of even complex setups and workflows, automatic recognition and immediate integration of external hardware components, etc. – in short: enabling the user to focus on the important things: recording and making music. And an interview with Jan Ullmann, CEO and Lead Sound Director of audioberlin — the Audiotainment Company. Jan gives insights about his experiences with Samplitude Pro X and the different facets of his daily work.